The data aggregation is used generally in VANETs to preserve the user information and reduces the traffic due to packets of high frequency data. The data aggregation schemes performing multiple operations, usually undergoes problem related to message complexity, which leads to increased communication and storage overhead. This case is true in case of message transmitted frequently from a vehicle to provide communication in vehicular adhoc networks. Fully homomorphic encryption (FHE) lacks efficiency due to severe communicationoverhead problem. 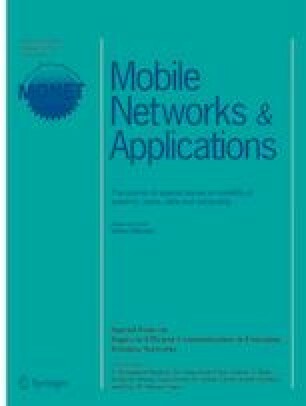 Hence, this paper improves the privacy of nodes in vehicular networks with reduced communication overhead. To achieve such concerns in VANETs, homomorphic encryption with pseudonym is utilized to carry the messages that tends to change with a desired frequency. The pseudonym changes often with vehicle mobility and the physical and logical address tends to vary over time. Here, the information of the vehicle relating its physical location and speed is made known globally in network, however, the information specific to vehicle and message transmitted is not known to the network. The message is encrypted with proposed Full homomorphic encryption (FHE) scheme to improve the security and reduce the overhead. Also, measures are taken such that the one pseudonym does not matches with the other pseudonym and makes the attacker ineffective for vehicle information tracking. The performance of the proposed FHE is compared with Paillier cryptosystem. It is found that the proposed method provides less communication overhead to transmit the message with improved security than with Paillier cryptosystem.